The High-Speed Terahertz Imaging Scanner is our flagship product. 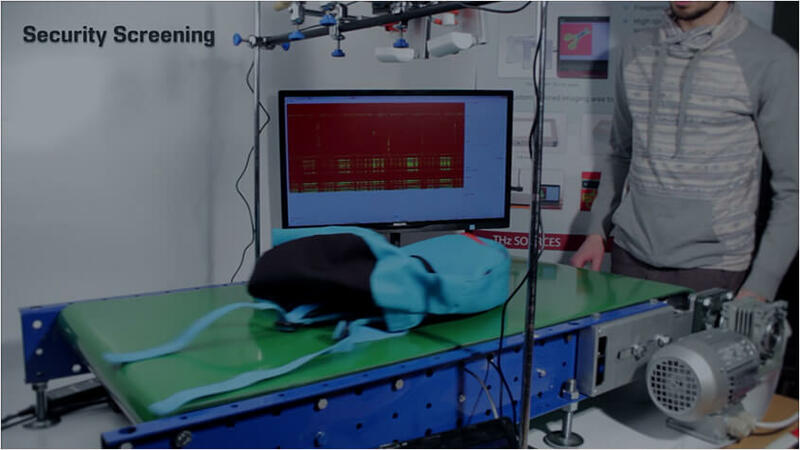 It features both, an unprecedented imaging speed of 5000 frames per second and ease of integration into any industrial process. 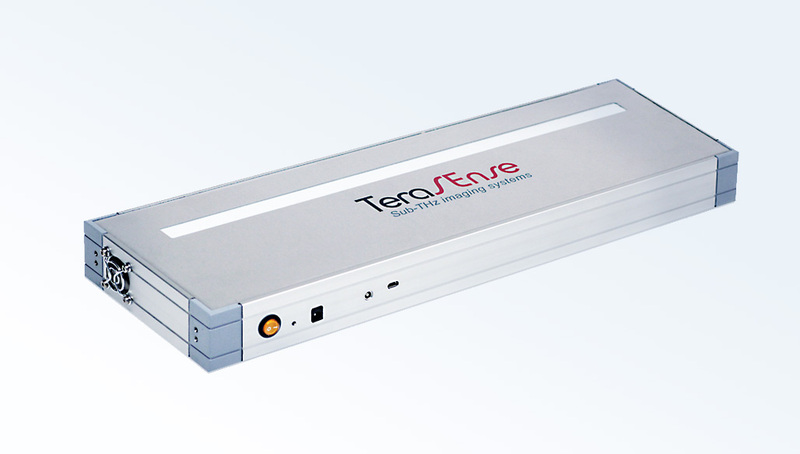 The Terahertz Imaging Scanner fits most conveyors with a belt speed up to 15 m/s. Its ultrafast linear sensor array is built to satisfy the needs in Non-Destructive Testing (NDT) and Quality Control (QC) for many industrial applications. 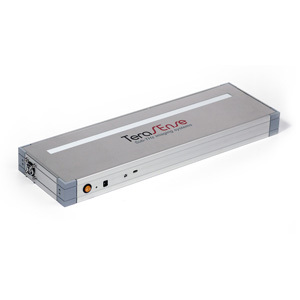 The Terahertz Imaging Scanner system consists of two parts: a linear terahertz imaging camera and a 100 GHz Terahertz generator. Both parts are optimized and synchronized to each other. THz radiation power is properly delivered from the generator onto the camera sensor. The camera pixel size determines an image resolution of 1.5 mm, which exceeds the requirements of most industrial applications. TeraSense offers two types of generators, both based on IMPATT technology. Our Type I generator has a horn antenna with a specially designed PTFE refractive optical system. The configuration of the PTFE lenses ensures proper focusing of the THz beam onto the linear window of the camera. The Type II generator is an upgraded version of the THz source. It utilizes our most recent breakthroughs in THz technology which enables the enhanced performance of the THz imaging scanner. The Type II module includes our novel reflective THz optics based on our specially configured high-gain horn antenna in combination with a metallic mirror. The Type II sources are made from exceptional IMPATT diodes that deliver significantly more power than the average diode. The Type II generator considerably improves the THz imaging capabilities of our linear scanner by increasing the amount of power reaching the sensor array.